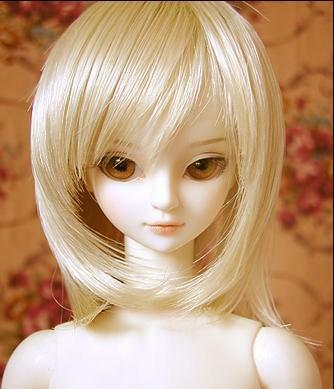 43# Blond Straight Wig MSD DOD DZ 1/4 BJD Dollfile 7-8"
A brand new straight wig for MSD DZ AOD DOD LUTS 1/4 BJD dollfie. Fits on a MSD DZ AOD DOD LUTS (17"/44cm) 1/4 BJD dollfie Luts and other similar sized ball joint dolls. We also have these wig for 1/3 (24"/60cm) BJD dollfie Luts and other similar sized ball joint dolls. you can choose other color in black. If you like please view in our store. 59# Black Straight Wig For SD AOD 1/3 BJD dollfie 8-9"
45# Silver Long Wavy Wig 1/4 MSD DOD BJD Dollfie 7~8"
29# Black Straight Wig 1/6 SD DOD DZ BJD Dollfie 6-7"